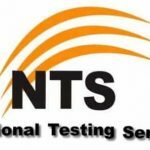 Punjab Educators Jobs Nts Test Roll no Slip (2017-2018) Date & Schedule Download Online.Thousand of jobs for teachers in all districts of the province were announced under Punjab Educators earlier this year and after the successful completion of registration procedure as per announced schedule, National Testing Service (NTS) is now all set to conduct the written test. If you do not receive your Punjab Educators Jobs Nts Test Roll No. Slip till 8th December 2017. Get a printout of your information displaying on this page and contact NTS Help Desk along with Original CNIC at your Reporting time. You will be issued provisional Roll No. Slip at the test center. For this purpose, all preparations Educators Jobs Nts Test Roll no Slip have already been completed. The test dates have been announced and roll no. slips have also been sent to all the eligible applicants via courier. In case you haven’t received the roll no. slip or aren’t aware of the test dates, then don’t worry at all as the complete Punjab Educators Jobs 2017 NTS Test Dates schedule along with roll no. slips for onlinedownload are given below on this page.